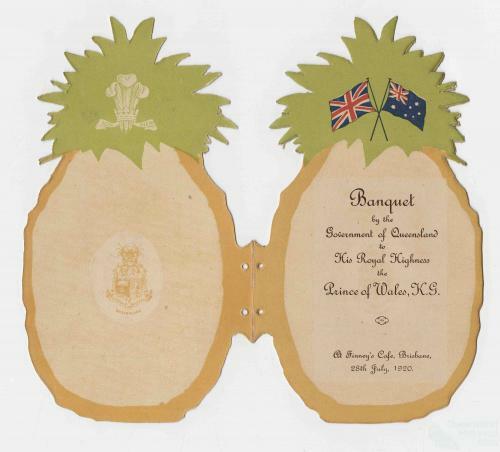 Pineapple invitation, 1920. 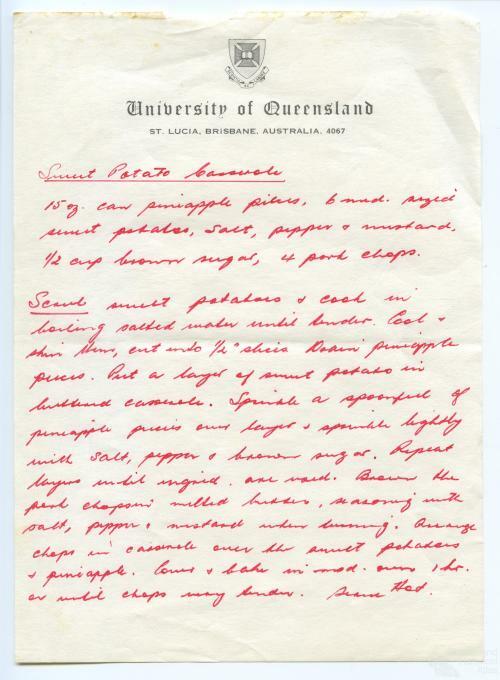 Inside pages of an invitation to a banquet held by the Government of Queensland for the visit of HRH Prince of Wales, 1920 at Finney’s Café, Brisbane. Sometime in 1924 in London, a little girl, of no more than five years old, I fancy, sat down in a crate of Queensland pineapples and smiled.